Specjalizuje się w zastosowaniu zaawansowanych metod analizy danych do wspomagania podejmowania decyzji w przedsiębiorstwach. Jest autorem ponad pięćdziesięciu artykułów na temat zastosowań biznesowych metod prognostycznych, optymalizacyjnych i symulacyjnych. Aktywnie promuje wykorzystanie najnowszych wyników badań naukowych w praktyce gospodarczej. 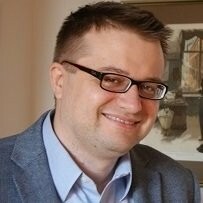 Przez ostatnie 15 lat brał udział w realizacji ponad stu projektów z zakresu wdrożenia rozwiązań klasy Business Intelligence dla największych polskich przedsiębiorstw i instytucji. I’m a serial entrepreneur who has worked for 22 years in artificial intelligence (AI) systems. My most recent project in the field involves founding and leading a company based in Palo Alto called Fido.ai, which is pioneering the third wave of AI that uses linguistic understanding to detect and eliminate hateful and abuse speech in online communities. I’m passionate about making the internet a safer place for children, women, and people of all creeds and colors, and I have spent the last six years of my life dedicated to innovating the technology necessary for doing this. Previously, I founded a company called Fido Intelligence, a leading European AI lab that pioneered technology to detect pedophiles and hate speech on the internet. And before this, I founded Medical Web Design, a first-of-its-kind search engine for pharmaceutical drugs. I am a medical doctor who earned an MD at the Medical University of Gdansk, Poland. I’ve also worked as an advisor to startups, NGOs and government agencies on everything from entrepreneurship and machine learning AI to combatting hate speech and cyberbullying. Phd in Artificial intelligence, interested in new technologies, sustainable technological growth and media studies as well as critical theory and system/organization theory. Currently researching wearable tech. My role as the Global IoT leader at EY, is to help clients understand the impact of IoT to their systems and processes, design the right IoT strategy that optimises their processes, innovates their business models while securing and protecting their assets from external threats. 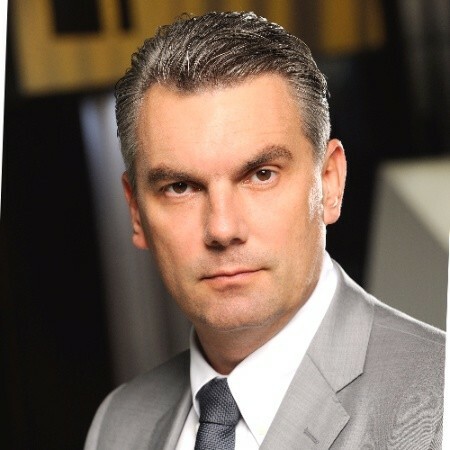 As a globally recognized expert in the field of Cybersecurity and Critical Infrastructure Protection, I am greatly experienced in the area of complex IT implementation and deeply passionate about helping global companies determine the best solutions that will enable them to create greater value and overcome challenges. I have authored many articles in recognized publications in this area and have been a recognized keynote speaker at numerous conferences related to Cyber Security and IoT/OT. 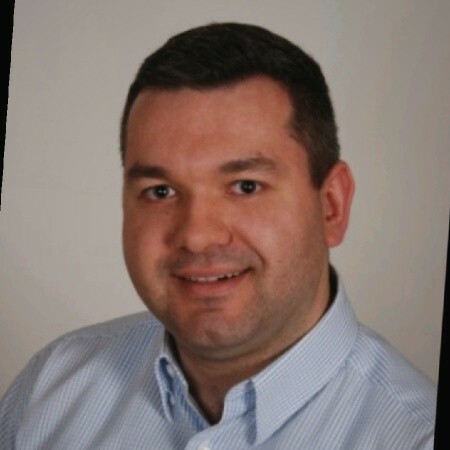 Over the past 15+ years at EY, I have held roles of increasing responsibilities in the IoT / OT advisory Practice, where I implemented numerous IT and OT projects for some of the largest companies in the EMEIA region. Before joining EY, I managed IT Security at telecommunication companies. I hold a Master’s degree in Information Technology Upper Silesian University in 1997 and received my Ph.D. in Economics from Poznan University of Economics. I truly believe that education and learning should be an ongoing activity and have hence participated in many Executive Programs within Harvard Business School, Carnegie Mellon University and LMD University that has vastly improved my knowledge through passionate discussion with peers and scholars. My zeal and passion for IoT is probably paralleled only by my interest in photography. As a professional level photography enthusiast, I am a laureate of a prestigious competition organized by National Geographic magazine. During my extensive travels as an advisory professional, I always carry my beloved Leica I love photographing peoples and have had several of my photographic work published in International photo magazines. Senior Lead Designer at 11 bit studios S.A. Designer with an ambition to create meaningful experiences. Proficient and passionate about game and experience design, design processes and management. Practitioner and proponent of agile methods in project and design management. 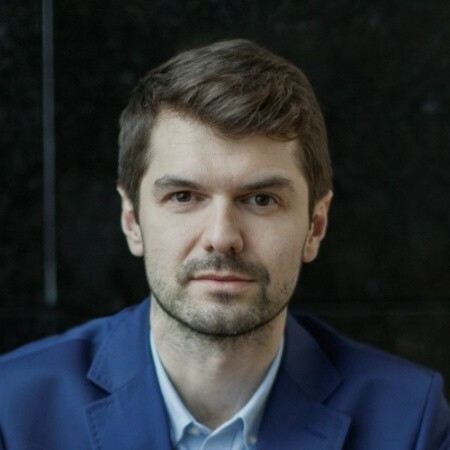 Edward is one of the founders of the company, a digital portal where you can upload the specifications of any product in the system and it will analyze, locate, budget, finance and implement the production of the product at the most competitive prize and in the most convenient format in a factory somewhere in the world. An Airbnb for factories. Edward has an M.Sc. in Industrial Management and Mechanical Engineering from Helsinki University of Technology (now Aalto University). 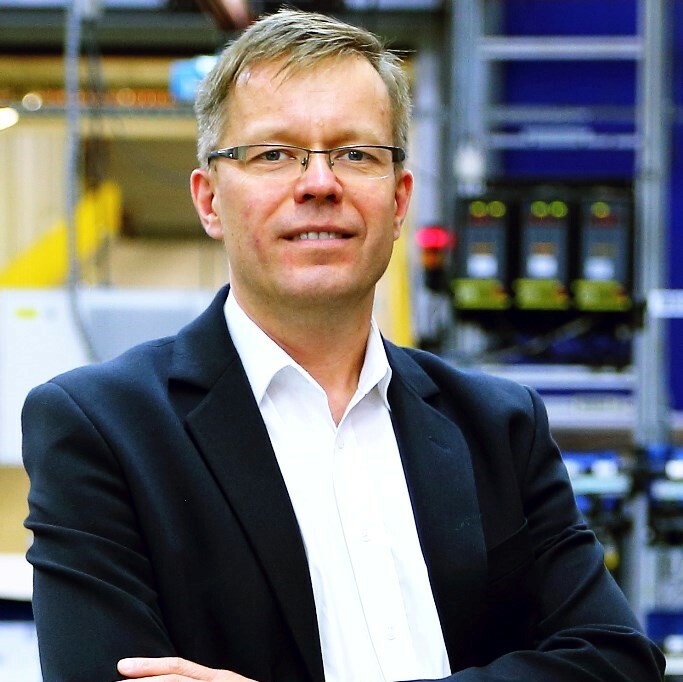 His passion is enabling a smarter revolution in manufacturing for a greener future. 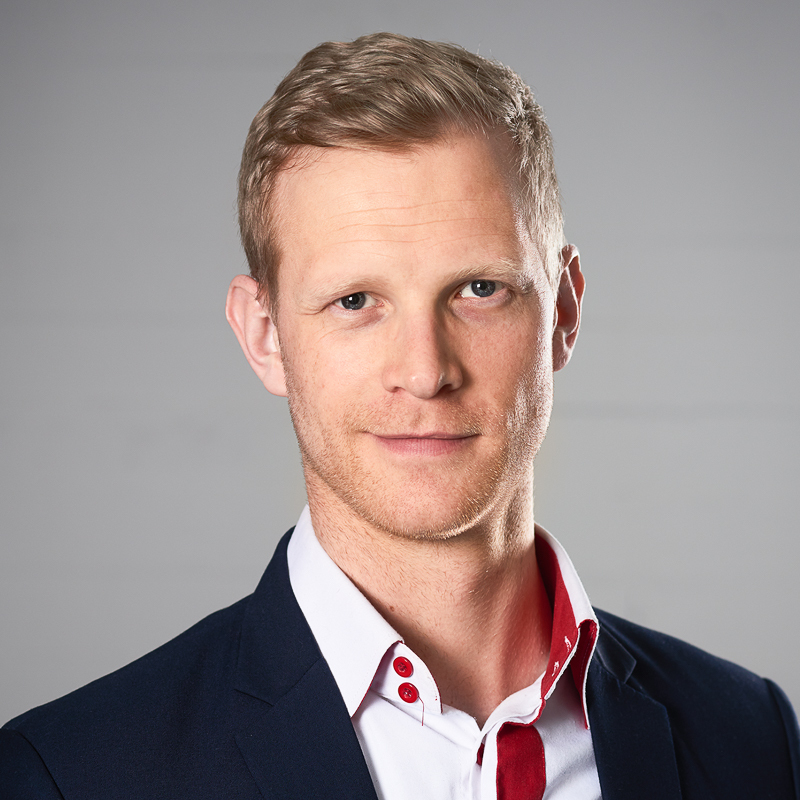 He was voted Young Entrepreneur of the Year in Finland 2010. Edward also started the company Combi Works 2005, which works in the conservative industrial sector and is now revamping this with AirFaas. Combi Works has sales in Northern Europe and Uganda and production in addition to Finland in the Baltics, Russia, China and India. 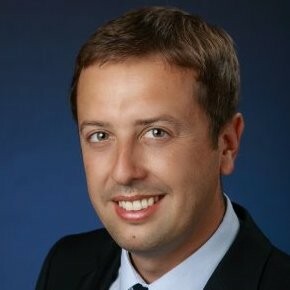 Executive with 18 years of experience with Business& IT transformation, working for top companies: SAS Institute, Orange. Strong leader with proven track record in transformation and commerce, sales, business consulting, delivery. Focused on helping to achieve breakthrough growth throughout the rapidly changing new challenges in digital word. Combines deep telecommunication expertise with cross-industry experience to bring and support leading-edge solutions and ecosystems. Visionary Entrepreneur focused around technology partnerships, support & engaging enterprise & start-up's. Dynamic and seasoned commercial leader with outstanding track record of achieving business results, growing and managing full P&L of divisions, multi brands and categories portfolio. Over 15 years of e-commerce/e-business, consumer goods, B2B and B2C experience in developed and emerging markets, 10 years leadership and executive positions experience in marketing, sales and strategy departments, legal academic background, European Executive MBA graduate. A highly analytical and structured professional, who also operates as an effective team player. Learning agile leader tapped as a change agent to lead business growth, revitalize brands and categories and bring results. 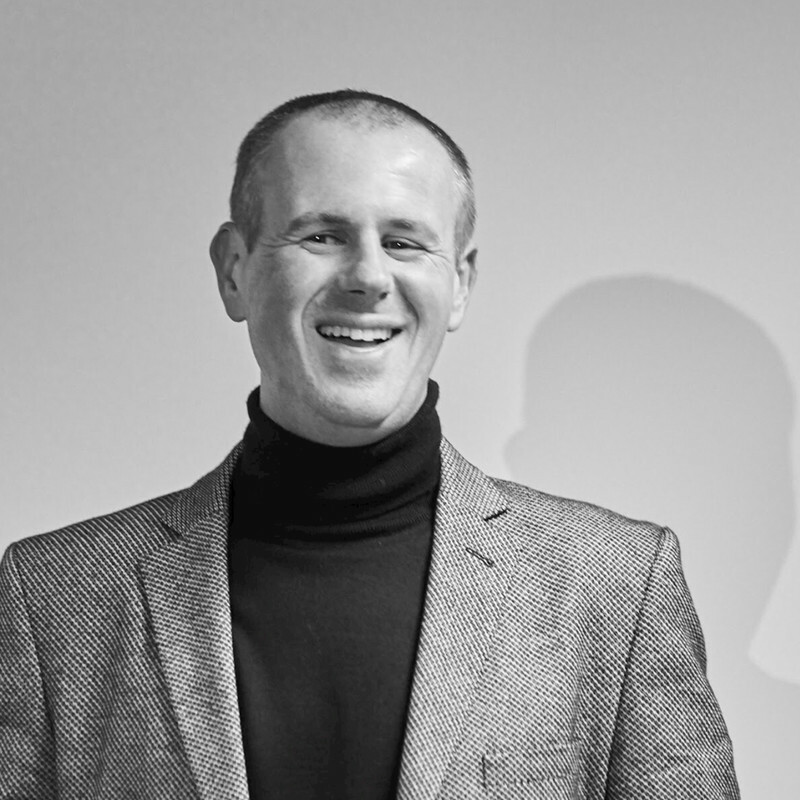 Co-founder and former principal of Infovide-Matrix SA, the leading Polish consulting and solution implementation firm, working on a number of positions also in its subsidiaries. Big believer in business strategies based on innovation, knowledge and creativity. My main professional ambition is to help my company successfuly perform the role of reliable innovation architect for its clients. Relentless entrepreneur by nature who is an Economist by education, Investment Banker by training and an extreme tech enthusiast at heart. Extremely honoured and thrilled to become a member of Forbes 30 Under 30 Europe Class of 2017. 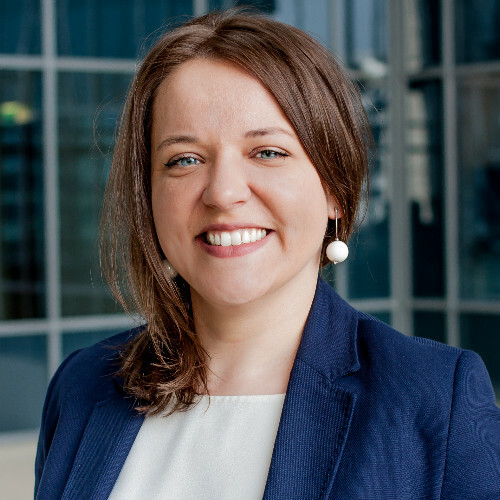 Korespondentka Polskiego Radia na zachodnim wybrzeżu USA, współpracuje z Gazetą Wyborczą i miesięcznikiem Sukces, Chief Education Officer w Olivia Business Center, autorka książki Ścigając Steve’a Jobsa. Historie Polaków w Dolinie Krzemowej, w której opowiada o tym, że legenda i potęga Doliny Krzemowej to również zasługa pracujących tam Polaków. Do Doliny Krzemowej trafiła po raz pierwszy kilkanaście lat temu. Iberystka i socjolożka z wykształcenia, z zawodu i pasji: dziennikarka i tłumaczka, posługująca się sześcioma językami. Prowadziła i wydawała program telewizyjny Kawa czy Herbata? w TVP1, ale jej wielką miłością jest radio. Szlify radiowe zdobywała w klasycznie rockowej rozgłośni Radia WaWa i warszawskim Radiu Kolor pod opieką Wojciecha Manna i Krzysztofa Materny. Muzyką rockową zajmuje się zresztą do tej pory. Prowadzi także szkolenia medialne oraz z zakresu negocjacji międzykulturowych. Wieczorami uczy karate w dojo, położonym w sercu Silicon Valley. W wolnym czasie wspina się, jeździ na nartach i nurkuje. 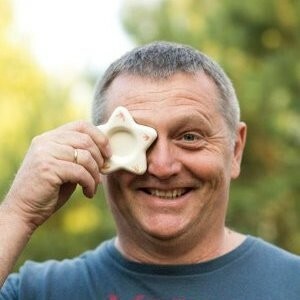 Adam Sawicki odpowiada w AmRest za nadzór nad procesami związanymi z cyfryzacją grupy, a także rozwojem technologii oraz platformy PizzaPortal, w której AmRest nabył w br. większość udziałów w ramach międzynarodowej ekspansji on-line. Przed objęciem obecnego stanowiska Sawicki przez dwie dekady pracował w międzynarodowych korporacjach takich jak TeliaSonera, GTS, Netia i ostatnio T-Mobile Polska, w której do marca br. 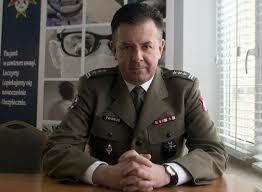 pełnił funkcję prezesa zarządu i dyrektora generalnego. AmRest Holdings SE jest spółką restauracyjną. Do zarządzanych przez nią marek należą: KFC, Pizza Hut, Starbucks i Burger King. AmRest jest także właścicielem marki La Tagliatella oraz dwóch chińskich konceptów: Blue Frog i KABB. Obecnie spółka zarządza siecią ponad 1,4 tys. restauracji w segmencie restauracji szybkiej obsługi i restauracji z obsługą kelnerską w 14 krajach, m.in. w Polsce, Czechach, na Węgrzech, w Rosji, Hiszpanii, Francji, Niemczech, Portugalii i Chinach. 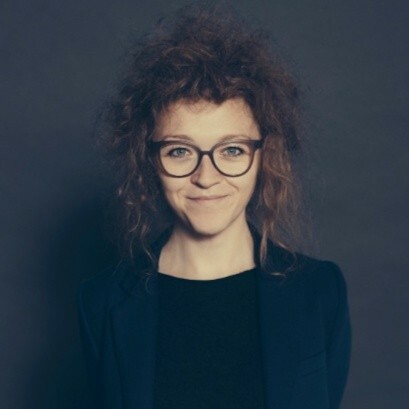 Sylwia's main area of experience is the realization of recruitment projects for top management positions in the area connecting IT and business. She also conducts consulting projects related to the evaluation and audit of management competences in companies from the modern technology sector or in IT departments of multinational business organizations. She actively develops her experience within Amberstone Associates. Her Clients value her as a consistent, efficient partner in solving complex consulting issues and searching for applicants with use of sophisticated criteria. She is also the originator of the project - "Technologia w spódnicy" - which promotes diversity. 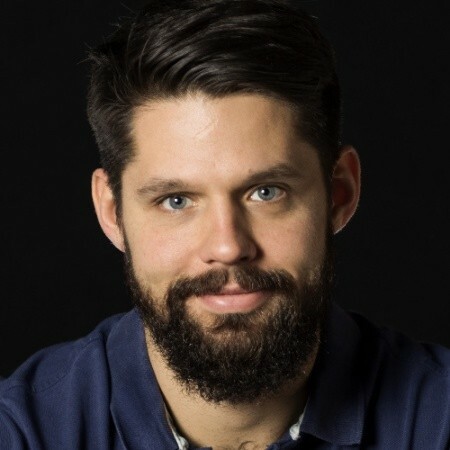 Mariusz is a CTO at Digital Teammates, mAccelerator startup established to help companies automate routine tasks performed by their employees – delivering, maintaining and renting software robots using Robotic Process Automation tools. 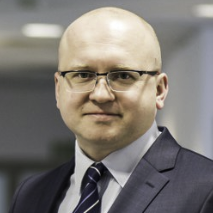 His consulting experience includes delivering complex IT solutions for major Polish banks, mainly in areas of core banking systems and electronic channels. Since 2010 responsible for a software development of mBank sales support systems – Contact Center, BPM, CRM, Real Time Marketing solutions and systems supporting Wealth and Private Banking business lines. 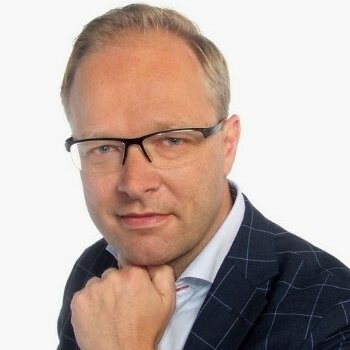 He is firm practitioner of agile software development and creator of successful agile teams. 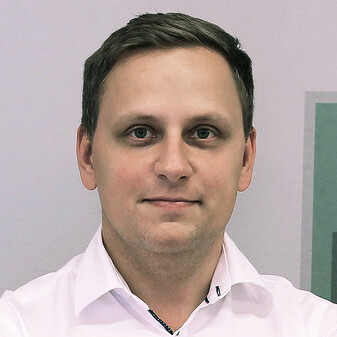 In Digital Teammates Mariusz is leveraging his experience to build and run a software factory able to deliver scalable and reliable solutions in a rent-a-robot model. Mariusz believes that modern operations require robots working hand-in-hand with people as their Digital Teammates. Researcher, expert in cloud computing, agent based simulation & modeling, machine learning, big data analytics, scientific high performance computing and stochastic optimization. 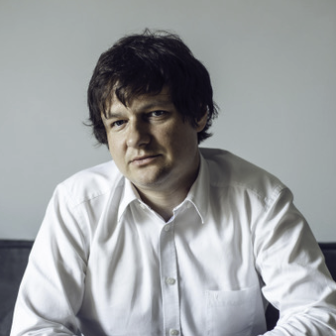 As a founder and Managing Director of the Julian Cochran Foundation, Jakub has collaborated in ventures shedding a different light on the classical music: the International Cochran Piano Competition which is the first piano competition held entirely online; ONSTAGE mobile app – a cutting-edge smartphone app used by audiences in classical music venues to zoom on stage in real time; “Classics at Koszyki” – the first and only series of classical music concerts held in a commercial space. 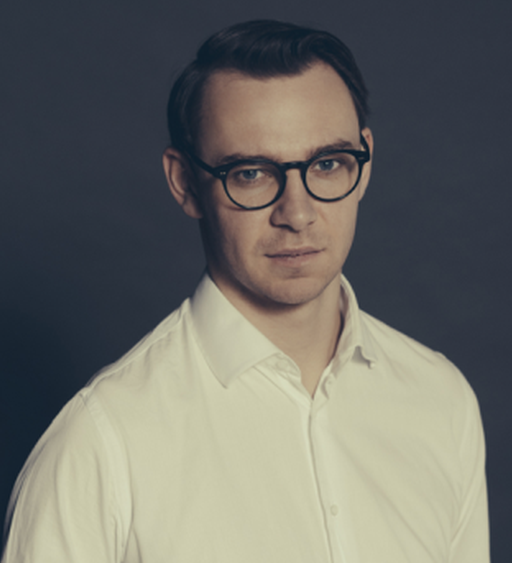 Jakub’s personal goal is to redefine and democratize classical music. Współzałożyciel i członek zarządu Obserwatorium.biz. Doktor nauk humanistycznych UAM w Poznaniu (specjalność socjologia), skończył studia podyplomowe ze strategii i planowania biznesu na Akademii Ekonomicznej w Poznaniu. 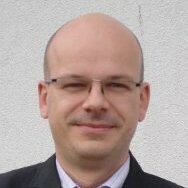 W latach 2006-2014 dyrektor bankowości elektronicznej w Banku Zachodnim WBK, gdzie odpowiadał za rozwój biznesowy bankowości elektronicznej, sprzedaż przez kanały elektroniczne oraz płatności elektroniczne. W latach 2012-2014 członek Prezydium Rady Bankowości Elektronicznej Związku Banków Polskich. Od 2016 roku członek Rady Nadzorczej Diners Club Polska oraz kierownik zespołu zadaniowego ds. cyfrowej tożsamości (eID) w Programie „Od papierowej do cyfrowej Polski” przy Ministerstwie Cyfryzacji. Od 2017 Członek Rady Nadzorczej Inplus Sp. z o.o. (właściciela marek Cenatorium oraz Urban.One). Współzałożyciel serwisu Compay.pl. Współzałożyciel największego w Polsce serwisu crowd-foundingowego Siepomaga.pl i Fundacji Siepomaga.pl. 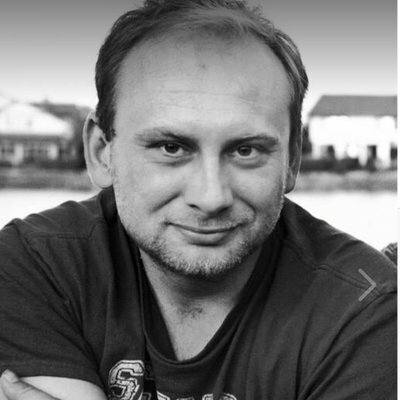 Polish cultural anthropologist, researcher at the Oxford Internet Institute and Kozminski University in Warsaw. Currently studies social discourses on genetically modified plants in US and Europe, practices of online misinformation, science communication and knowledge production in open collaboration communities, as well as disinformation campaigns around governmental elections, as a team member of the Computational Propaganda Project at the OII. She is also interested in “alter-science” and “pro-science” social movements in Europe and North America. She actively cooperates with different NGOs as a social researcher. A member of the Collegium Invisibile Association. Aby wspierać rozwój internetu i rozwiązań cyfrowych w Polsce, Jakub odpowiada za budowę relacji pomiędzy Facebookiem a ustawodawcami, regulatorami, organizacjami pozarządowymi i innymi społecznościami zainteresowanymi szerokim spektrum tematów związanych z Internetem. i gospodarką cyfrową. 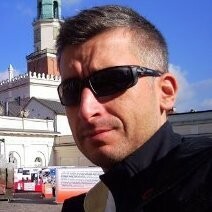 Przed dołączeniem do Facebooka, Jakub odpowiadał za rozwój i zarządzenie działem Public Policy and Regulatory Affairs u operatora kablowego UPC Polska. Miał możliwość współpracy z kluczowymi interesariuszami i decydentami w Polsce promując wartość dodaną, którą Internet i cyfrowa gospodarka oferują dla polskiego społeczeństwa. Międzynarodowe doświadczenie w zakresie gospodarki cyfrowej Jakub zdobył między innymi w Brukseli, pracując przez 4 lata dla Belgacomu nad agendą cyfrową i regulacjami europejskimi. 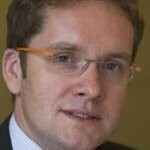 Jakub również pracował w firmie konsultingowej PwC i jest absolwentem icHEC Brussels Management School. Z projektami internetowymi związany od 1999 roku, obecnie skupia się na rozwoju trendów mobile-first eCommerce oraz Progressive Web Apps (PWA). 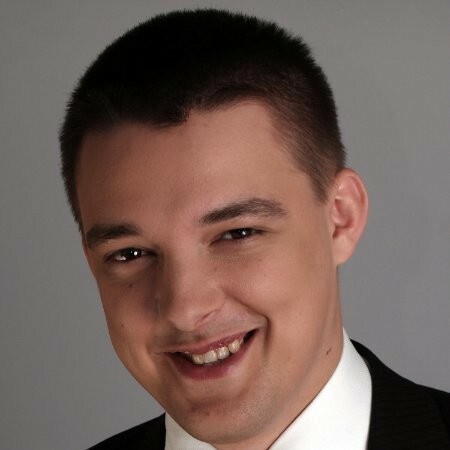 Specjalista w rozwiązaniach wspierających sprzedaż w oparciu o Magento i Pimcore oraz projektów dedykowanych (Symfony3, Node.js, Angular, React, Vue.js). Aktywnie wspiera młode biznesy kierujące swoją ofertę do B2B jako doradca i BA. Swoją wiedzą eCommerce dzieli się na www.divante.co/blog. Wiedzą dzielił się na konferencjach takich jak: WebSummit, Magento Imagine oraz wielu startupowych wydarzeniach. An IBM Systems - File & Object Storage - Technical Leader, CEE, mainly engaged as an file and object storage evangelist responsible for design and building systems for various workloads. Since 2012 successfully helping BP to create storage opportunities CEE region. Now is working as a IBM File & Object Storage - Technical Leader cooperating with remote teams responsible for customer and sales support. Previously associated per 17th yeas with the Adam Mickiewicz University in Poznan, and his main research interest and hobby was nanotechnology and solid state physics, his dissertation was related to crystal physics. Long-term coordinator of the IBM Academic Initiative and a passionate proponent of open source technology and mainframe systems. His experience in the field of IT passed students for many years organizing the highly popular lectures related IBM technologies. Experienced Executive with a demonstrated history of working in the government administration and IT industries. Strong professional skilled in Requirements Analysis, ITIL, Strategy, Software Project Management, and IT Strategy. Psycholog organizacji. Inicjator badań Tarka Executive’s, Biznes-Ludzie i Duma Marki, diagnozujących wzorce sukcesu założycieli, właścicieli i prezesów największych i najbardziej dynamicznych organizacji. Twórca studiów podyplomowych i kursów akademickich dla zarządzających. Doradca szefów biznesów, NGOsów i uczelni. Wspiera zarządy w obliczu potrzeby innowacji w zarządzaniu ludźmi i organizacją, kreowania pozytywnej zmiany oraz pobudzenia dalszego rozwoju i wzrostu. Wcześniej Business Leader w Mercer, Managing Consultant w Main oraz Practice Manager w Hay Group (obecnie Korn Ferry). Ekspert Customer Care w globalnych projektach na rynkach USA, Indie, Argentyna, Meksyk. Strateg i wizjoner. Autor przełomowych rozwiązań technologicznych, w tym wirtualnych oddziałów dla branży finansowej. Wyznacza strategiczny kierunek rozwoju we wszystkich obszarach działania firmy. Doceniając ludzi i wartość kapitału ludzkiego, ukształtował Alfavox jako silnego gracza odnoszącego sukcesy na międzynarodowych rynkach. Partnerstwo z klientami i doskonałe rozpoznawanie potrzeb wpisał w misję i strategię działania firmy. W efekcie jego pracy Alfavox jako lider na rynku polskim działa także w 12 krajach, realizując projekty m.in. dla Grupy Aviva, T-Mobile Usługi Bankowe, Alior Bank i firm z Grupy Virgin. 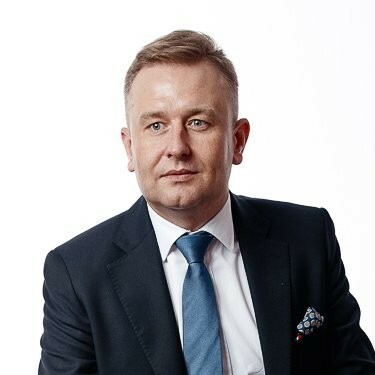 Członek Rady Programowej Fintech Digital Congress oraz Warsaw International Banking Summit. Pasjonat doświadczania wrażeń kulturalnych na wszystkich kontynentach, do dziś zwiedził 250 miast na całym świecie. Absolwent Politechniki Warszawskiej na kierunku Zarządzanie i Marketing na Wydziale Inżynierii Produkcji. Współzałożyciel innowacyjnej spółki Virtual Power Plant (VPPlant), której celem jest uruchomienie wirtualnej elektrowni (VPP) na bazie zdolności do przesuwania chwilowego zużycia energii w nowoczesnych budynkach. Posiada 23-letnie doświadczenie w projektowaniu rozwiązań teleinformatycznych. Wcześniej szef projektów technologicznych w polskich telewizjach oraz pionier zastosowań bezprzewodowego Internetu w dziedzinie zdalnego sterowania oraz bankowości. Head of System Development and Robotics Division, Director w Alior Bank S.A. Experienced Manager with a demonstrated history of working in the banking industry. Skilled in Business Process, Analytical Skills, Risk Management, Requirements Analysis, and Banking. Strong program and project management professional with a Master's degree focused in Management from University of Warsaw. I have almost 25 years of banking experience. I worked for HVB Group in Poland and Germany (4 years) and for Unicredit group (10 years). Since 8 years I am member of successful team changing largest polish Bank (PKO Bank Polski - check out our performance over this period). Every place I have been working I am perceived as somebody who dreams BIG and ACTS with success. I have broad experience starting from accounting, controlling, planning, market price risk controlling, CRM, Data analytics, Contact Center management, Self-service channels (mobile and internet), front end service for sellers, sales management, product development and much more. 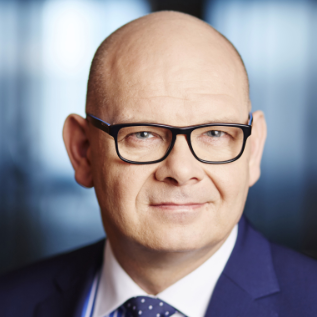 I was leader of the merger with Nordea Bank Polska in terms of retail business.I have participated in creation of the last 3 strategies of PKO Bank Polski. In PKO Bank Polski I am leader of strategic program of the advanced analytics. Współtwórca i prezes zarządu spółki Cenatorium - pierwszego w Polsce komercyjnego dostawcy aktualnych danych o transakcjach na rynku nieruchomości. Współzałożyciel pierwszego i największego w Polsce portalu zbiórek charytatywnych - Siepomaga.pl. Współwłaściciel spółki INPLUS, lidera na rynku opracowań planistycznych i obsługi inwestycji infrastrukturalnych. Przez kilka miesięcy w formule interim management zarządzał Centralnym Ośrodkiem Informatyki. W 2017 r. znalazł się w zestawieniu miesięcznika Brief „50 najbardziej kreatywnych w polskim biznesie". Doświadczony ekspert w zakresie rozwoju biznesu opartego o praktyczne zastosowanie innowacji i wynalazków. Adam Sobczak jest absolwentem Szkoły Głównej Handlowej. Studiował także na wydziale Gospodarki Przestrzennej oraz Ekonomii Uniwersytetu Warmińsko-Mazurskiego w Olsztynie. W 2002 roku uzyskał dyplom MBA na University of New Brunswick. Ukończył studium doktoranckie SGH. Od kilkunastu lat związana z obszarem zarządzania kapitałem ludzkim, coach i facylitator. Specjalizuje się w projektach transformacji, zmiany kultury oraz dostarczaniem rozwiązań programów rozwojowych dla kadry menedżerskiej i eksperckiej. Od wielu lat związana z obszarem technologii i innowacji. Entrepreneur with an expertise in both Management and HR Tech. I am a co-founder of Emplocity - a world-class recruitment automation solution based on AI, data science and machine learning. We believe, the future of recruitment lays in a human-AI collaboration. Our goal is to empower both employees and employers with AI technology which automates activities where machines are more effective than people. After acquiring customers in Poland, we've started our global expansion. Winning several awards, such as: Lightning Competition during Unleash Las Vegas 2018 (2nd), Eagle of Innovation 2017 (1st), European Startup Days 2018 (2nd) or ABSL Start-up Challenge 2017 (2nd), Emplocity has been named one of the most innovative Polish start-ups by the President of the Republic of Poland. Explorer of new IT areas Specialties: Mobile communities, Business-IT Strategies, IT Architectures. 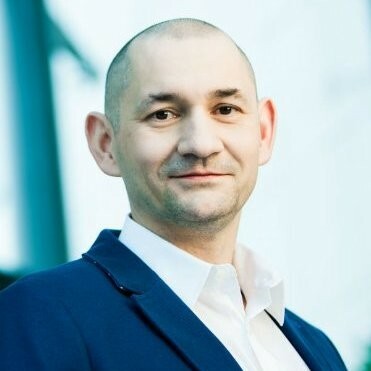 Łukasz Marczyk jest Szefem praktyki ubezpieczeniowej w Accenture w Polsce. Od ponad 15 lat wdraża innowacje oraz zarządza złożonymi projektami z zakresu doradztwa biznesowego i IT (robotyka, sztuczna inteligencja, Internet rzeczy, CyberSecurity, cyfrowe platformy IT, rozwiązania chmurowe, itp.) dla sektora ubezpieczeń w Polsce i Europie Środkowej. Specjalizuje się w kształtowaniu innowacyjnych modeli operacyjnych opartych o najnowsze technologie, ekosystemy, outsourcing czy model as-a-Service. Wdrożył i obecnie kieruje Centrum Usług Cyfrowych w Accenture (innowacyjna obsługa szkód, zaawansowana analityka oraz sztuczna inteligencja) realizując usługi dla niemal 25% polskiego rynku ubezpieczeń majątkowych. Jest absolwentem Szkoły Głównej Handlowej, Aarhus School of Business a także ukończył program zarządzania innowacjami i nowymi technologiami na McMaster University oraz program menedżerski na Stanford Graduate School of Business. At Digital Teammates we create, deliver and maintain software robots that automate jobs that people hate to do - tedious, repetitive, requiring a lot of manual typing from one system to another. We help companies boost productivity of their operation teams. We leave to humans the tasks they do well i.e. : those requiring complex pattern matching and decision making. We do all that and more without any upfront cost from our clients. Digital Teammates takes care of all necessary infrastructure, licences and above all making sure robots are ready for work at all times. All we ask in return is fraction of the cost of the current employee. We believe that modern operations require robots working hand-in-hand with people as their Digital Teammates, allowing our customers to grow their business, by having flexible operational workforce. Należy do kadry School of Form i School of Ideas na Uniwersytecie SWPS. Twórca pionierskich na polskim rynku programów kształcenia łączących informatykę z naukami humanistycznymi i twórczym wykorzystaniem technologii. Uczy artystów i projektantów wykorzystywania tworzywa, jakim jest połączenie kodu z elektroniką i cyfrową fabrykacją. Projektant interakcji i badacz systemów złożonych. Naukowo zajmuje się complex systems, symuluje komputerowo i analizuje systemy techno-społeczne. Realizował badania m.in. w programie „Future and emerging technologies”. Stworzył narzędzia wykorzystywane w ONZ i West Point. Jego wizualizacje naukowe i instalacje interaktywne prezentowane były m.in. w Muzeum Sztuki Nowoczesnej, Centrum Sztuki Współczesnej, galerii BOZAR, Artothek Monachium i Teatrze Nowym. Współpracował z Florida Atlantic University, Ammerman Center for Art and Technology w Connecticut, Institute for Scientific Interchange Foundation Torino, Columbia University oraz Instytutem Podstaw Informatyki PAN. Brig. Gen. (Res.) Efrati has served in the Israel Defense Forces for more than twenty-eight years. He commanded numerous prestigious operational and technological positions in Military Intelligence and received the Creative Thinking Award from the Director of Military Intelligence. members and former Head the Civilian Division of the Israel National Cyber Bureau in the Prime Minister's Office. In this capacity, he raised Israel to a leading position in the civilian aspects of global cyber-security, brought multi- national companies to open cyber R&D centers in Israel. Mr. Efrati has leveraged the existential cyber-threat to Israel, into a unique business opportunity encouraging the development of a large cyber ecosystem supporting hundreds of new cyber related startups. Mr. Efrati is currently involved in international level strategic projects for cyber- security and innovation. Until recently, Mr. Efrati was a founder and President of Firmitas Cyber Solutions - focusing on providing a unique technological approach for the security of mission-critical infrastructure sector & Industrial Internet of Things. 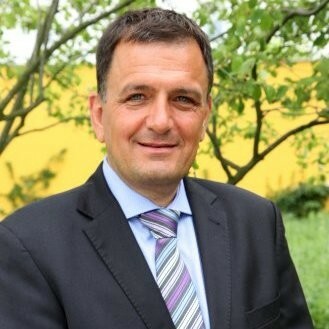 Mr. Efrati has over 20 years of civilian experience and has been involved in entrepreneurial activities with both start-up and established companies in the Cyber-Security, High Tech and Bio-Technology sectors. Mr. Efrati is an Associate in the International Institute for Counter-Terrorism (ICT) at the Interdisciplinary Center, Herzelia (IDC), a place he shares his unique experience in the cyber terror world. Mr. Efrati is also a guest expert and lecturer in the Geneva Centre for Security Policy (GCSP) and a Senior Cyber Fellow in Yuval Ne'eman Workshop for Science, Technology and Security in Tel-Aviv University. Mr. Efrati is an advisory board member at Securonix – an industry-leading platform for security analytics that provides advanced monitoring and threat detection capabilities. Mr. Efrati is serving the community as Past District Governor of Lions Clubs in Israel. We are the first generation to define standards in the internet economy. Today's market leaders are the first to face digital challenges. Traditional professions will have to change in nature within the next few years, or will simply disappear. This will happen because anything that is quantifiable could be reproduced electronically. The most important challenge which puts leaders to the test in every industry is not only the need to be up to date with new technologies but to try to be ahead of them and to adjust to clients' digital needs. Graduate of University of Łódź (1971), Harvard B-School (1973). Research Scholar in Prof. Edgar Schein’s Organizational Studies Group at the Sloan School, MIT (1980-81). Internships at: British Academy, CNRS (France), Chinese Academy of Sciences, Chiba Univ., Japan. Alumnae of the Colloquium on Participant-Centered Learning at HBS (2005). 1987-1991, Director of Institute of Philosophy and Sociology, Polish Academy of Sciences. In 1993-1998, Director General of Polish Academy of Sciences, the main Polish research super-structure (over 10,000 employees, 83 institutes). Presently, Prof./Head, Dept. of Management Theory, Warsaw School of Economics. 2005-2008, Vice-Rector, Intl Relations. Chairman, Polish-Japanese Management Center; Chairman (1998-2008) of the renowned Warsaw Executive MBA, run jointly with the Carlson School of Mngmt, USA. For the last 4 years in a row voted the Best Instructor. 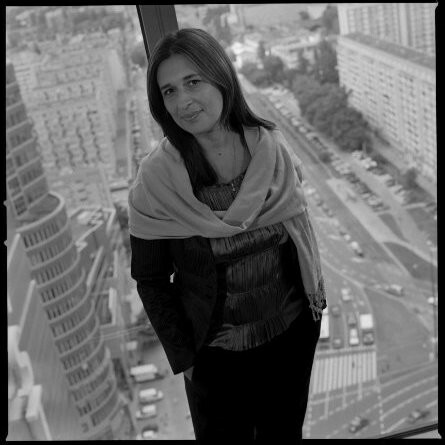 Long-time member of CEMS (Community of European Management Schools) Executive and Academic Committees. Adjunct Professor in Intl Business Studies at Carlson School of Mngmt. Visiting Prof. at the: Intl School of Mngmt, Dortmund, Germany, Kiev-Mohyla Business School, Ukraine and Economic University, Vienna. Author of over 220 publications. Specializing in the future of New Economy, company strategies in Internet-based environment, CSR 2.0, business model innovation and new marketing. Scope of interest: service design, value proposition design, business modelling, strategy implementation, value innovation and value co-creation. 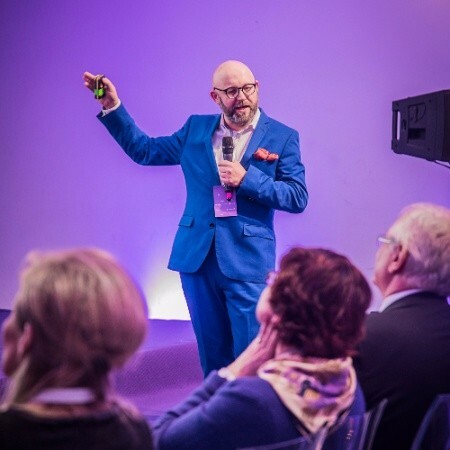 If you're looking for some insights about changing your company, business identity, mission & vision, value for customers, strategy implementation or business model re-freshment as well as co-creation experiences - do not hesitate to visit my blog at http:\\co-creation.bblog.pl (majority in Polish). 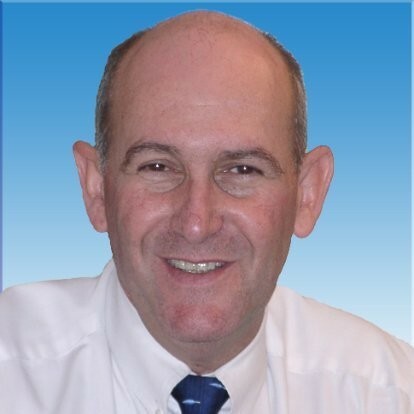 • experienced business trainer and workshop facilitator. Specjalizuje się w prawach na dobrach niematerialnych, prawie autorskim, prawie własności przemysłowej, a także prawie nowych technologii oraz e-commerce. Jest współautorem Wytycznych Ministerstwa Rozwoju Regionalnego w zakresie zasad dofinansowania z programów operacyjnych podmiotów realizujących obowiązek świadczenia usług publicznych w lokalnym transporcie zbiorowym. Jest również arbitrem Stałego Polubownego Sądu Konsumenckiego przy Prezesie Urzędu Komunikacji Elektronicznej. Członek Scientific Committee European Privacy Association (EPA). 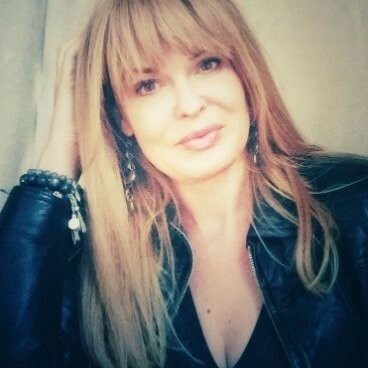 Radca prawny, od 1994 r. praktyk konwergencji i specjalista mediów elektronicznych i usług komunikacji społecznej. Specjalizuje się w zagadnieniach nowych mediów, społeczeństwa informacyjnego, interaktywności w komunikacji społecznej, ochronie prywatności i w prawie do informacji, jak również regulacji i deregulacji rynku mediów i telekomunikacji. Absolwent Wydziału Prawa i Administracji Uniwersytetu Gdańskiego. Ukończył Studia Podyplomowe w Instytucie Własności Intelektualnej Uniwersytetu Jagiellońskiego oraz Studia Podyplomowe Ochrona Konkurencji, Własność Przemysłowa i Prawo komputerowe Uniwersytetu Jagiellońskiego. 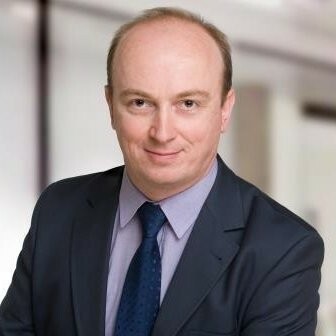 Arbiter Sądu Arbitrażowego przy Polskiej Izbie Informatyki i Telekomunikacji, a także Sądu Polubownego przy Krajowej Izbie Gospodarczej. Od 2000 r. właściciel Kancelarii Radcy Prawnego Kroplewski.com. W latach 2004-2006 dyrektor Departamentu Prawnego Krajowej Rady Radiofonii i Telewizji. 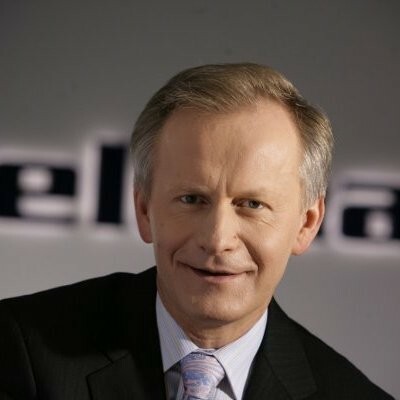 W latach 2011-2016 dyrektor Biura Prawnego Telewizji Polskiej SA. Od 2006 r ekspert ds. mediów i nowych technologii Instytutu Sobieskiego. W latach 2006-2011 ekspert Prezesa UKE, Ministerstwa Kultury i Dziedzictwa Narodowego, Komisji Sejmowej Kultury i Środków Społecznego Przekazu. Absolwent krakowskiej Akademii Górniczo-Hutniczej. Karierę zawodową rozpoczął w 2002r. jako konsultant w firmie doradczej Accenture. W latach 2007-2008 pracował w Fortis Banku jako koordynator portfela projektów, natomiast po fuzji z bankiem BNP Paribas w latach 2008-2017 odpowiedzialny za architekturę systemów, strategię oraz kluczowe projekty w Pionie IT. Uczestniczył w jednym z najbardziej złożonych projektów IT w Polsce ostatnich lat - fuzji banków BGŻ oraz BNP Paribas. W latach 2014-2017 zarządzał w Banku BGŻ BNP Paribas innowacjami jako kierownik Centrum Innowacji. Od marca 2017 jako Wiceprezes Zarządu TAURON Obsługa Klienta nadzoruje pracę Centrum Usług Wspólnych IT. Kierownik działu IT zakładu Crafter Volkswagen Poznań Sp. z o.o. Kieruje Katedrą Badania Układów Złożonych na Wydziale Psychologii Uniwersytetu SWPS. Pracuje też na Wydziale Psychologii Uniwersytetu Warszawskiego. Kieruje też Ośrodkiem Badania Układów Złożonych w Instytucie Studiów Społecznych UW. Był visiting profesorem uczelni zagranicznych: Columbia University, University of North Carolina, Ohio State University, Netherland's Institute for Advanced Studies, and Vienna's Center for Advanced Studies in the Social Sciences I Florida Atlantic University. Jego podstawowy obszar zainteresowań to podejście dynamiczne w psychologii społecznej. Jego obszary badań to: wpływ społeczny, edukacja, technologia w uczeniu się, zmiana w edukacji, zmiana społeczna, dylematy społeczne, systemy rozproszone, społeczne mechanizmy bezpieczeństwa, społeczne aspekty nowych technologii, struktura „ja", emocje, sieci neuronalne, procesu poznawcze. Specjalizuje się w symulacjach komputerowych systemów społecznych i techno-społecznych. Publikuje w czasopismach psychologicznych: Psychological Review, Personality and Social Psychology Review, American Psychologist, fizycznych: Physical Review Letters, Physical Review A, E, European Journal of Physics B, a także informatycznych: np. IEEE Artificial Intelligence, Cognition oraz interdyscyplinarnych np. Plos One. Jest autorem bądź redaktorem 15 książek i ponad 120 artykułów i rozdziałów. Jego index H wynosi 40. Liczba cytowań jego prac wg Google Scholar w chwili obecnej przekracza 7800. 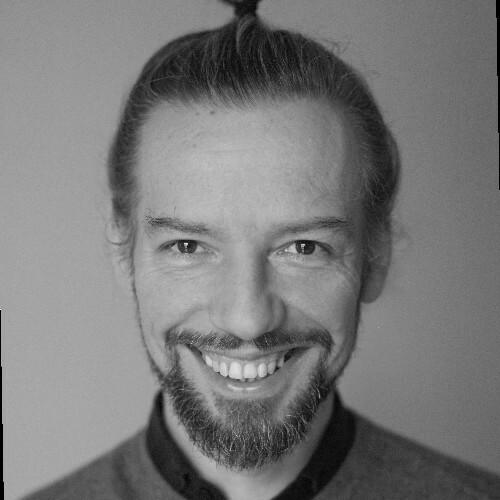 Paweł Janicki is an independent media artist, interactive director and producer working in the field of media art, microsound aesthetics and algorithmic composition, is a creator of audiovisual interactive systems, installations and performances. He creates and continuously develops software tools and interfaces. Special place in his activity takes developing software according to his own projects – and broadly – creating his own media either sabotaging already existing solutions. 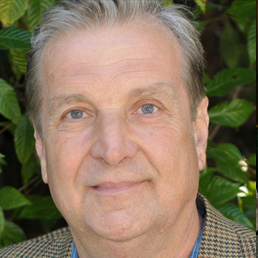 Janicki is associated with the WRO Center for Media Art, where he currently directs the WRO Laboratory. His activities there are focused primarily on web applications, audio and sensory systems. Among the projects developed and realized at the WRO Laboratory under his direction, it is worth to mention the Interactive Playground exhibition, which was awarded by Poland's biggest daily paper Gazeta Wyborcza. He was also co-founder and longtime member of the well-known, collective Gameboyzz Orchestra Project exploring lo-fi aesthetic. Manager passionate about introducing digital coworkers to human teams. IT Practitioner, enthusiast of working with children to build competences of the future. I am an impact driven person, passionate about solving complex problems and setting organizations for success. In my current and previous positions I have been focused on digital business, new business models, digital strategy, operations, innovation management and large scale transformations, while always working in international teams across geographies and various cultures. Creative producer, classically-trained cellist, co-founder of the ONSTAGE mobile app — game-changing solution for concert venues and live performances thanks to which audiences attending the concert can watch from up-close what is happening on the stage in real time, on their smartphones. Kasia gained vast experience in implementing international cultural initiatives working for the Adam Mickiewicz Institute: I, CULTURE Orchestra - ensemble of young musicians from Poland and Eastern Partnership Countries; and the Polska Music Programme which supports performances of Polish classical music by renowned artists worldwide. 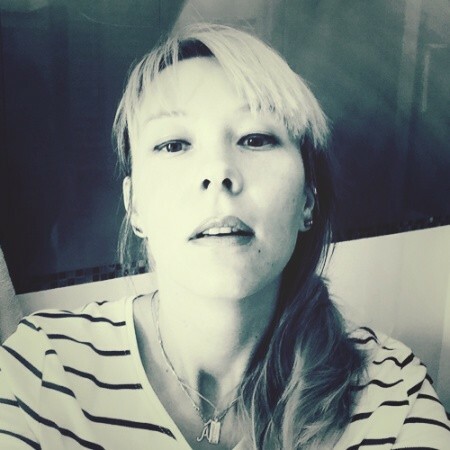 Kasia is one of the founders of the Automatophone Foundation where she participates in creating a 3-year project “Opera for the Deaf” involving Deaf Warsaw community. She is alumna of the Aspen Young Leaders Programme. Bartosz is a fan of new technologies, innovation and creativity. He has experience in managing teams. He is a great team builder. He has the ability to build effective teams and motivate people to work together. Expert in: innovations, talents, ATL, BTL, finance marketing, law marketing, HR marketing, public speaking, presentations, custom media, custom publishing, newspaper and magazines, social media, public relations, crisis management, trade marketing, senior and baby boomer marketing, creativity and creative thinking, packaging design, publishing, private label, crowdfunding, third sector communications. 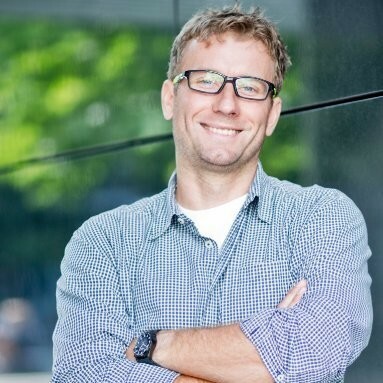 Co-Founder & CEO at VersaBox sp. z o.o. 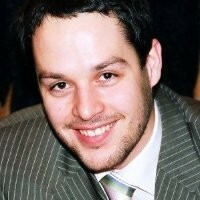 Jakub has a PhD degree from the Warsaw University of Technology, Faculty of Materials Science and Engineering. 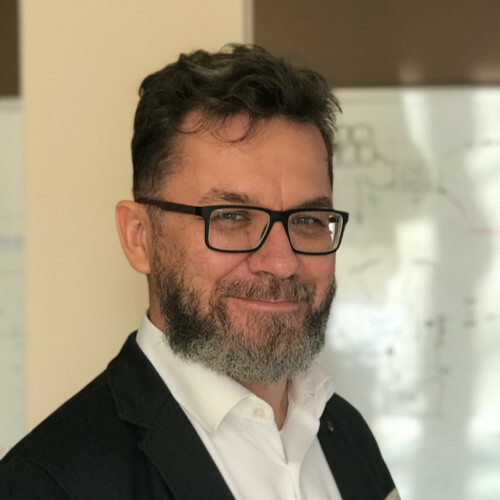 He is an active scientist with more than 10 years of experience with coordination of scientific and industrial projects with Polish, Swiss, German, Slovenian Canadian, South African and US partners. 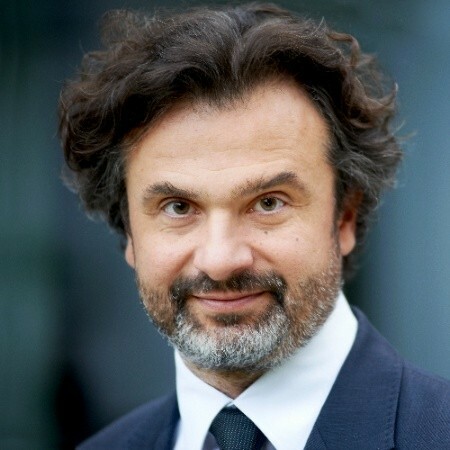 In 2002-2004 he was awarded with the scholarship of the Foundation for Polish Science, and in 2004-2005 he was a fellow of the EU Marie Curie Fellowship Program. In 2011 he was one of the winners of prestigious Polish program for young scientists LIDER, and got special financial support in order to build scientific team. In 2012 Jakub was selected out to another prestigious Polish program, Top500 Innovators and participated in entrepreneurship training at Hass School of Business, University of California, Berkeley. 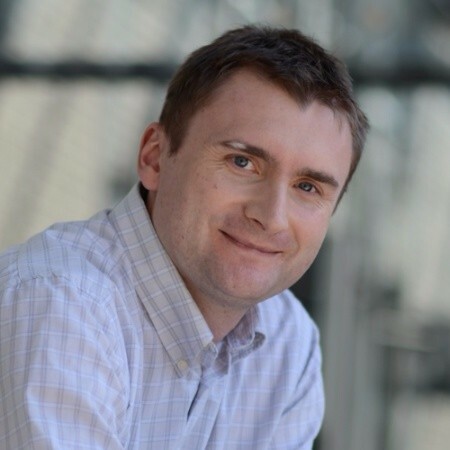 In 2006 - 2013, parallel to his university carrier, Jakub was an R&D team manager in Materials Engineers Group Ltd, responsible for innovative projects and solutions as well as development of the company potential. 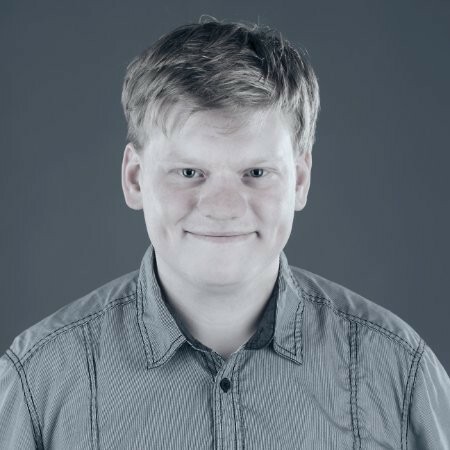 Since August 2013 Jakub is Co-Founder and CEO of VersaBox Ltd, the new high-tech startup from Robotics, Automatics and Engineering field. 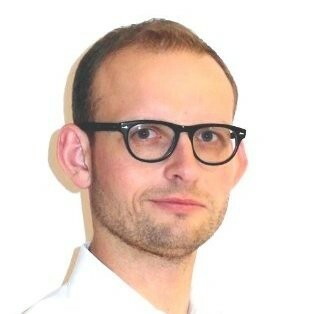 Additionally, since 2013 Jakub is an official representative of Plug and Play Tech Center in Poland (http://poland.plugandplaytechcenter.com). 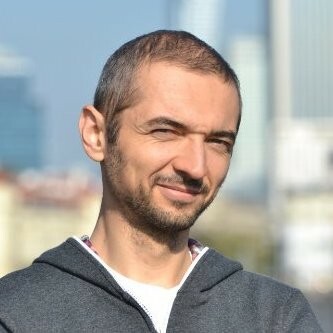 He manages the Polish team organizing and promoting Plug and Play Poland and responsible for helping Polish startups, those are interested in expansion to the Silicon Valley, as well as contacts between PnP and Polish investors and governmental units. 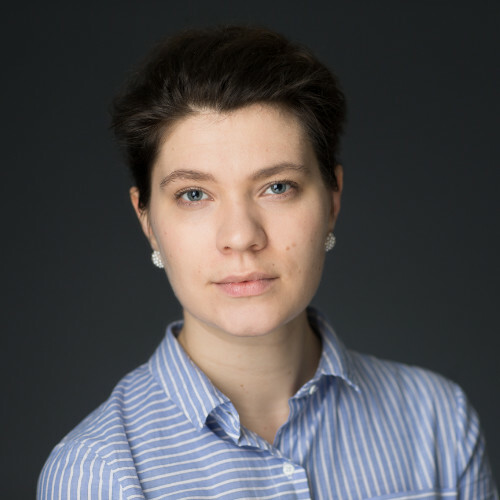 CEO & Co-founder of 2040.io - Cracow based company specialized in building modern IT tools that analyze the daily activities and context of small and medium companies, and assist them in making proper business decisions. He has a number of press releases and speeches at conferences like: E-nnovation, E-business Festival, Premedium Trends, ArtBuzz or KielceCom. So far, his articles have been published, among others, in: Marketing in Practice, Forbes, and Computerworld. Jest absolwentem Politechniki Warszawskiej na kierunku organizacja i zarządzanie. W roku 1994 ukończył studia podyplomowe na Uniwersytecie Harvarda na kierunku Investment Appraisal and Management, a w 2006 The Columbia Senior Executive Program na Uniwersytecie Columbia. W latach 1990–2002 pełnił funkcje menedżerskie w Polskim Banku Rozwoju, Kredyt Banku, Rabobanku, Telekomunikacji Polskiej oraz był prezesem zarządu Getin SA, którą z sukcesem wprowadził na Giełdę Papierów Wartościowych w Warszawie. 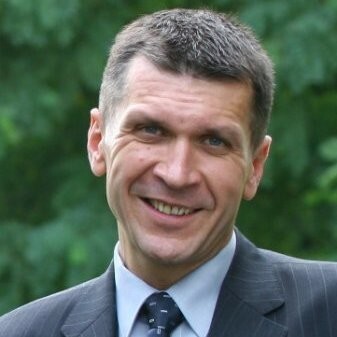 Od 2003 r. jako prezes zarządu i dyrektor generalny kieruje Raiffeisen Bank Polska, a od początku 2013 r. połączonym Raiffeisen Polbank. Jest muzykiem (flecistą) i chórzystą z ponad 45-letnim stażem. Śpiewał w wielu warszawskich chórach i zespołach kameralnych, ostatnio w męskim zespole wokalnym Des Singers. Lead Game Programmer at 11 bit studios S.A.
- Unity3d: gameplay, networking (asset bundles, external data sources, asynchronous/synchronous multiplayer), editor scripting (batch building, assets processors and converters), rapid prototyping, rendering (ShaderLab, lightmapping), 2d frameworks (SpriteManager & EZGui experience), iOS (memory and rendering profiling, experienced with Prime31 plugins), Android. 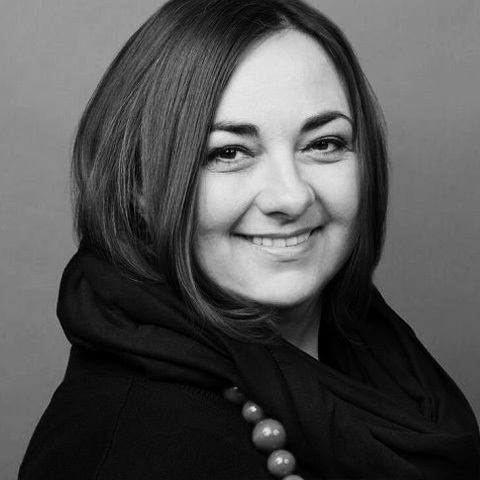 Monica McDonnell is a key member of the European Industry Consulting team in Informatica. Monica has 15+ years of enterprise software experience, advising global companies on how to gain business insight, optimizing their operations and driving innovation from data. 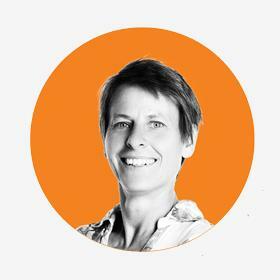 Her current activities are focused around identifying and quantifying the value well-managed and high quality data can deliver across multiple business processes. Monica earned a B.Sc in Industrial Engineering from the University of Witwatersrand, and a M.Sc in Software Engineering from Oxford University. Both degrees were awarded with distinction. W Jednostce Wojskowej GROM pełnił służbę na wielu stanowiskach w komórkach: rozpoznania, operacyjnej i w zespołach bojowych. W sierpniu 2011r. płk Gąstał został wyznaczony przez Ministra Obrony Narodowej na dowódcę Jednostki Wojskowej GROM, które to stanowisko piastował do września 2016r. W trakcie swojej służby Piotr Gąstał uczestniczył w wielu ćwiczeniach, treningach i warsztatach taktycznych z partnerami z sił specjalnych USA, Europy i Afryki. Wielokrotnie doradzał w sprawach bezpieczeństwa i terroryzmu Polskiemu Prezydentowi, Premierowi, Ministrom Obrony Narodowej, Spraw Wewnętrznych i Spraw Zagranicznych, Komendantowi Głównemu Policji. Wykładał gościnnie na wielu polskich uczelniach. Za swoje zaangażowanie w służbę, działalność społeczną i współpracę międzynarodową płk Gąstał został odznaczony wieloma medalami w tym: Krzyżem Zasługi za Dzielność, Gwiazdą Iraku, Medalem za Zasługi dla Policji, Medalem Pro Patria, Honorową Odznaką Zasłużony dla Kultury Polskiej oraz na wniosek Kongresu Stanów Zjednoczonych flagą USA. Główne zainteresowania naukowo – badawcze to zagadnienia agresji i przemocy, problematyka sądowo – psychiatryczna dotycząca żołnierzy jako sprawców i ofiar przestępstw, orzecznictwo wojskowo – lekarskie w zaburzeniach psychicznych, psychiatria konsultacyjna oraz zaburzenia psychiczne związane ze stresem traumatycznym ze szczególnym nastawieniem na zaburzenia psychiczne współczesnego pola walki oraz zaburzenia psychiczne występujące u ofiar wypadków, katastrof, urazów wielonarządowych. Autor ok. 100 publikacji naukowych dotyczących w/w zagadnień klinicznych. Kieruje i współpracuje w realizacji projektów naukowo – badawczych dotyczących diagnostyki, leczenia i psychoterapii zaburzeń psychicznych występujących u żołnierzy powracających z zagranicznych misji wojennych oraz ich rodzin. Sales Professional managing various sales teams in Intel since 2006. 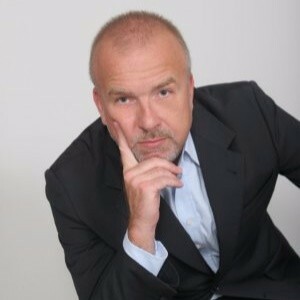 Currently I manage Internet of Things business in Central and Eastern Europe. I’m a sales professional with over 15 years of experience. 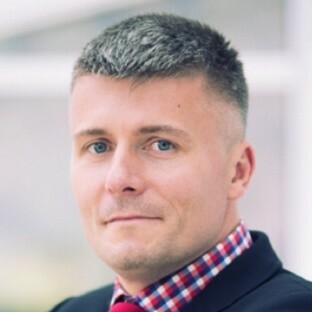 During my career I managed Inside Sales teams, worked with key customers in the region, and worked as Market Development Manager for Intel distribution business in Central and Eastern Europe. I successfully developed efficient inside/outside coverage model for Intel channel customers in Europe. Over the years my sales focus changed from traditional PC market to embedded systems and Internet of Things. Currently using my programming skills to build small Machine Learning systems.